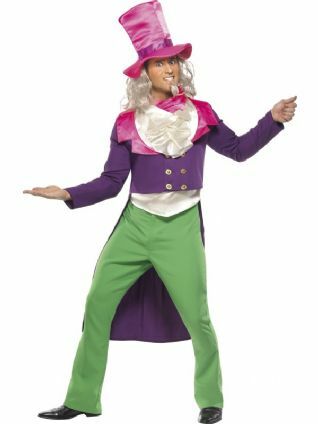 Mad Hatter costume with jacket, shirt front, trousers, hat and scarf. 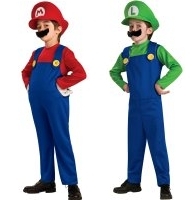 This bright outfit is great for other fairytale characters too; just change the hat and make-up and you can be Willy Wonka, a clown, or even a character from history. We have a great selection of Alice in Wonderland characters, so if you're thinking of a group theme, this is a nice choice.